One of the things that’s frustrating about Apple’s Maps is that you don’t get the integrated transit information that’s the lifeblood of living in a place like New York City or San Francisco. Google Maps has always had that information integrated into the product, which is a huge help for people who live in those metropolitan areas. 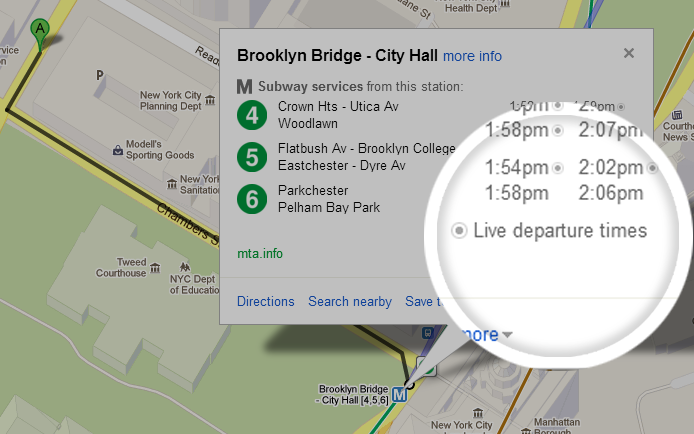 The difficulty for Google is to keep up with all of the transit options, especially when it comes to live information. Today, it announced updates for NYC, D.C. and Salt Lake City, which will show you live departure times for seven lines on the NYC Subway system (MTA) and buses and trams in Salt Lake City (UTA). 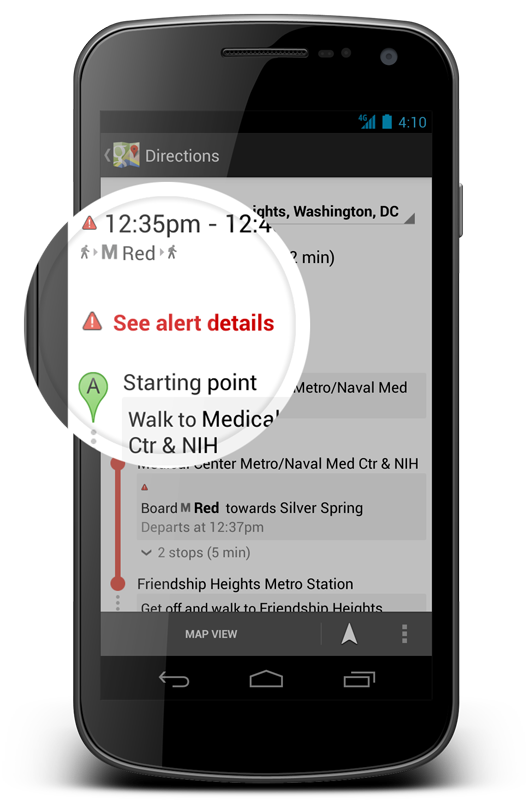 Alerts are now available for the subway system in D.C. (Metrorail). There are more than 800 cities, with transit information available in Google Maps, but these three cities are getting the “live info treatment,” since these cities were ready to move forward and make the information available. Google Maps has been a massive success since launching on iOS last December, and transit information is a huge advantage. With transit information in Google Maps you get pick-up locations, departure times, estimated travel time, and even fare amounts for 800 cities* across more than 25 countries around the world – that’s information for 100 million miles of daily public transit trips at your fingertips. These are clearly not easy problems to solve, since most of the information relies on the transit lines themselves reporting information in real time in a way that Google can access it. Those are relationships that the company has built over the years, which allows it to seamlessly integrate the data into its offerings. As I mentioned, this was the one thing that immediately turned me off of Apple Maps. Having to rely on third-party applications that are kind of woven into Apple’s service just didn’t cut it for me. When you are waiting to get on a bus or train, you need that information quickly.